I recently became familiarized with dig or domain information groper, or in short it is the outstanding tool for DNS lookups. It has great functionally ant it is preinstalled on most of the distributions today.If we don't tell it to query a specific name server, dig will try each of the servers listed in /etc/resolv.conf. Or why I use dig mostly for. Let say I want to see all the redirects from the top level ns to my server.
.   46703 IN NS b.root-servers.net.
.   46703 IN NS k.root-servers.net.
.   46703 IN NS c.root-servers.net.
.   46703 IN NS e.root-servers.net.
.   46703 IN NS i.root-servers.net.
.   46703 IN NS g.root-servers.net.
.   46703 IN NS f.root-servers.net.
.   46703 IN NS d.root-servers.net.
.   46703 IN NS l.root-servers.net.
.   46703 IN NS a.root-servers.net.
.   46703 IN NS j.root-servers.net.
.   46703 IN NS h.root-servers.net.
.   46703 IN NS m.root-servers.net. mitemitreski.com. 172800 IN NS ns71.domaincontrol.com. mitemitreski.com. 172800 IN NS ns72.domaincontrol.com. mitemitreski.com. 3600 IN NS ns71.domaincontrol.com. mitemitreski.com. 3600 IN NS ns72.domaincontrol.com. And basically we got the redirects from the top-level domains to our host. gmail.com. 3586 IN MX 30 alt3.gmail-smtp-in.l.google.com. gmail.com. 3586 IN MX 10 alt1.gmail-smtp-in.l.google.com. gmail.com. 3586 IN MX 40 alt4.gmail-smtp-in.l.google.com. gmail.com. 3586 IN MX 20 alt2.gmail-smtp-in.l.google.com. gmail.com. 3586 IN MX 5 gmail-smtp-in.l.google.com. Hipster is a slang term that first appeared in the 1940s, and was revived in the 2000s and 2010s to describe types of young, recently settled urban middle class adults and older teenagers with interests in indie rock, independent film, magazines such as Vice and Clash, and websites like Pitchfork Media. In some contexts, hipsters are also referred to as scenesters. "Hipster" has been used in sometimes contradictory ways, making it difficult to precisely define "hipster culture" because it is a "mutating, trans-Atlantic melting pot of styles, tastes and behavior[s].. SuperNews! : Hipsters in Space: Jihad is Rad: SuperNews! I do have an Informatics and Computer Engineering diploma degree(well in a month or two) but we have only passed some of the parts of TAOCP and definitely not in that much detail. Also, this fits nicely with my idea to go back to the basics once more. I have been working in Java EE, and I feel that web application programming does not give too much space for using innovation at least not in using algorithms that are a little bit more advanced. Java haters would now say that this is because I'm using Java, but that is definitely not the case, I have also used python and a little bit of clojure and this does not change the problem. Yeah maybe some language is more elegant for some job but in the end, it is just a language. Now yes I was working on financial products, but that does not give me any excuse, maybe some other web apps require another skill set. Also, I think that if I had better algorithmic knowledge, that maybe I would not make some mistakes, also it's fun. 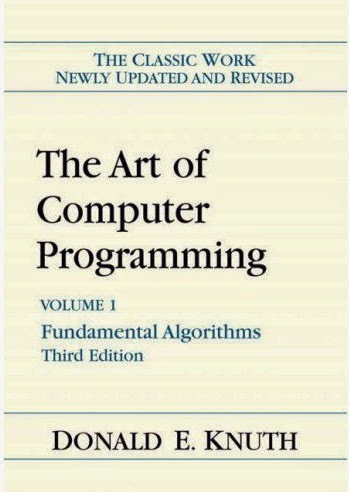 The Art of Computer Programming series are currently on the plan, but also I'm planning on going back to C once more, Little bit of Unix programming for I believe that Linux System Programming: Talking Directly to the Kernel and C Library would be a good start then I think that next good step would be Operating Systems Design and Implementation (3rd Edition) . And we'll see what would be next. I'm not alone (YEAH!!! ). I have found at least one other person interested in the project so this will be great. We are going to make a reading plan in a day or two. And we will try to make regular meetings each week, the first few months will probably the meetings will take place in "Кика - Хаклаб" and they will be open, during the summer we'll move everything online. You don't have to be from Macedonia to join us!